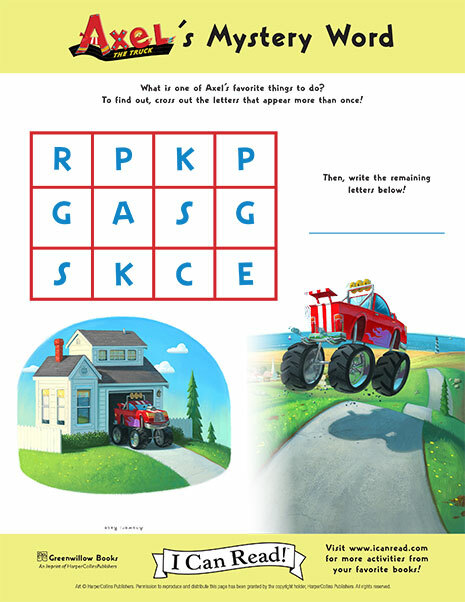 Find printable activities for all reading levels featuring your family’s favorite I Can Read! characters. My First I Can Read! What is one of Axel’s favorite things to do? To find out, cross out the letters that appear more than once and reveal the mystery word! Axel the Truck My First I Can Read! 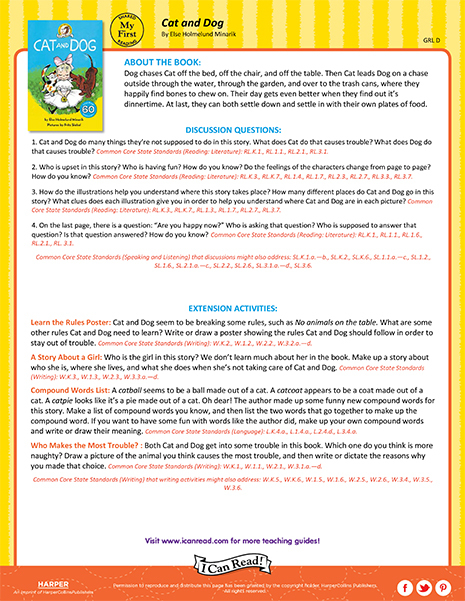 Download a free Teacher’s Guide for Cat and Dog, a My First I Can Read! book by Else Holmelund Minarik! 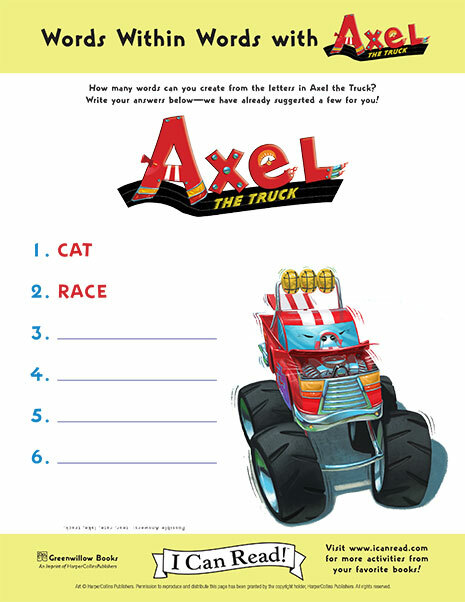 Help name all of Axel’s parts by matching the words and images. 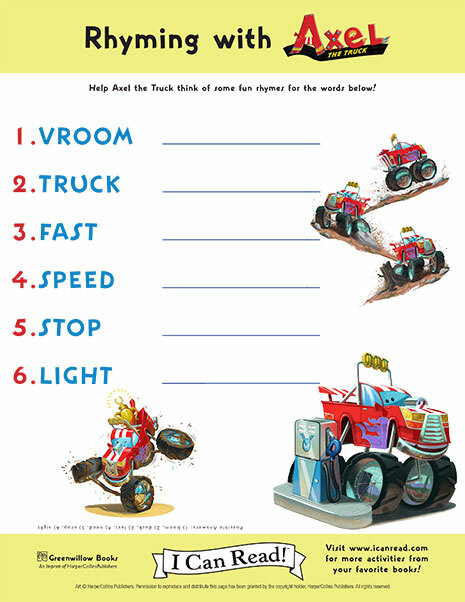 Help Axel the Truck think of some fun rhymes for the words! Vroom Vroom! 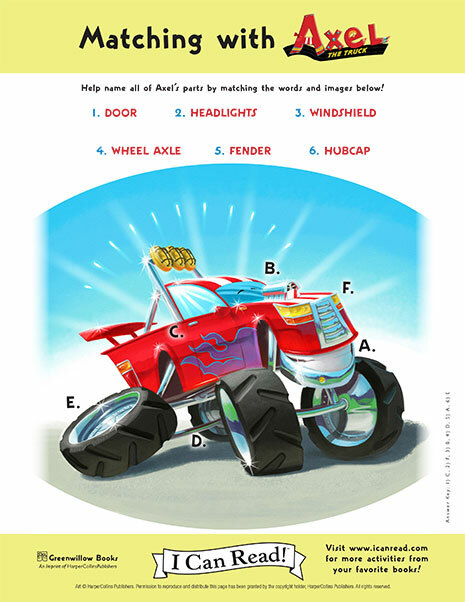 Axel the Truck is ready to drive but has mixed up a few of his parts! Can you help him with this word scramble? 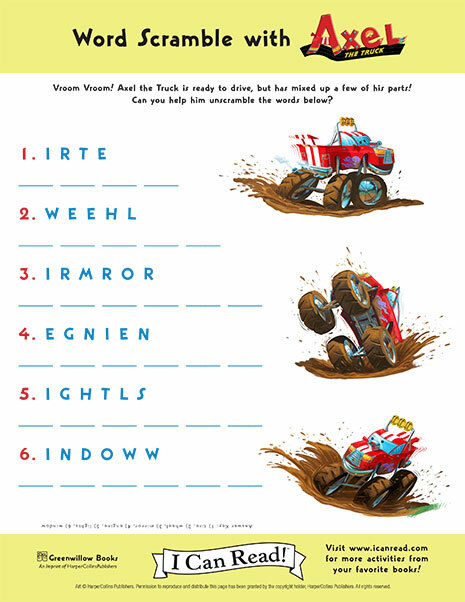 How many words can you make from the letters in “Axel the Truck”?